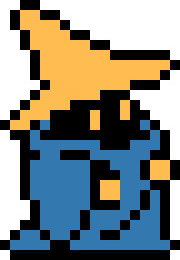 Looking at the sprite for the Black Mage, I noticed that there were floating pieces on the sides of the sprite that I wanted to represent properly, without adding additional blocks that would change the look. I was able to do this by using bricks with holes in them and pins to hold them in place. Each brick has two holes and two pins to keep them from swiveling. 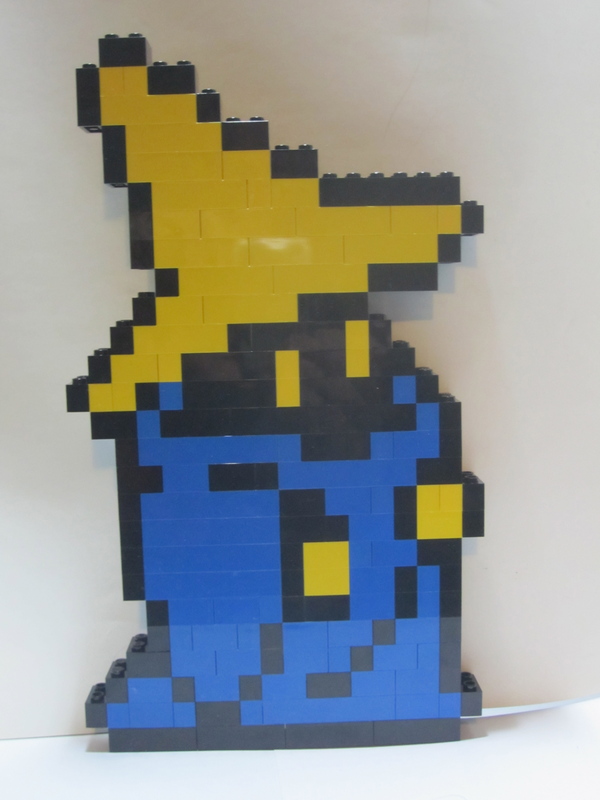 I decided to make a limited number of Black Mages available in my Etsy store, so if you’re a fan of the old school, original Final Fantasy and want one for your very own, check it out here. And if you’d like to see me create any other characters or have something special built for you, contact me.